Digging roots is a fascinating pastime, be it deliberate or accidental. I almost stumbled on the original place that experienced the birth pangs of the Daily News through the book “The life and times of D R Jayawardena” by H A J Hulugalle. Of course I had read the book before with no specific motive. This time it was handed to me by an acquaintance for a specific motive. That is to focus on a chapter that questions the credibility of those revere as our national leaders. According to him these whom he had located, had opposed the grant of self – government to our Island. Really I was not very much interested in that issue. When cohesion among the varied races and creeds of the island is the dire need of the day why scratch old wounds and disease the body again foully? Let sleeping dogs lie. Of course. Never were they dogs but lions of a sort in their times. But other than racial prejudices they to had their moods, temperaments and likes and dislikes. Never are humans predictable. They would say one thing today and another thing tomorrow. Sometimes what was originally said could be misinterpreted by latter day writers and reporters. Sorry. Writers and reporters just merge into each other. Everything is so fluctuating. In my own mood of fluctuating I began to change my course of observation in the book and found myself on familiar ground. Familiar? Yes. Years back when I was a dedicated officer of the Ministry of Education, I went on circuit to a certain school in Punchi Borella. Going through the log book and chatting to the school head I found that the school was of premier historical significance. It was the first English medium Buddhist Girls’ school in the island born out of the Naarishiksha Wing of the Buddhist Theosophical Movement that began to flourish in the 1880s under the aegis of Colonel Olcott. Originally this school had been at a large bungalow along. Tichborne Avenue. To make a long story short I bumped into this avenue again in that book discovering that the Daily News had been born in this same bungalow. For the sake of clarity and sequential order I would here recount the genesis of this newspaper that has ballooned into the foremost English daily in the island. 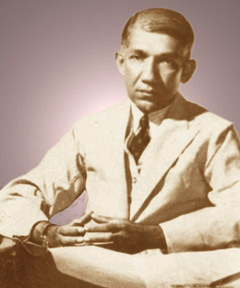 It had been in England that the newspaper was prematurely charistened by D R Wijewardene when he browsed through the London Liberal Newspaper called the Daily News “brilliantly edited by A G Gardiner. Already the public spirited man was harbouring dreams of starting a newspaper to rake up a movement for national liberation and he thought (according to Hulugalle) “that if he ever owned a newspaper he would call it the Ceylon Daily News”..... After he returned to the island he achieved his objective and the Daily News soon found a place among the many English dailies of the times as the Times of Ceylon, the Morning Leader and the Ceylonese. (In the early decades of the 20th century, there had been more English dailies than now!) In fact it was the death of the Ceylonese that signalled the birth of the Daily News, writes Hulugalle. Actually the Ceylonese was founded in 1913 by Ponnambalam Ramanathan and a host of academic luminaries of the period. The paper however teetered on bankruptcy when a writ was issued by F R Senanayake for the recovery of Rs 21,000, a loan he had taken. D R Wijewardena then back from England and languishing in the uniform of a Lieutenant of the Ceylon Light Infantry, his dream of beginning a national movement aimed at independence through a newspaper dormant, cleverly foresaw his opportunity and dashed to the sale of the bankrupt newspaper and its plant at Tichborne Avenue, made his offer and bought it. 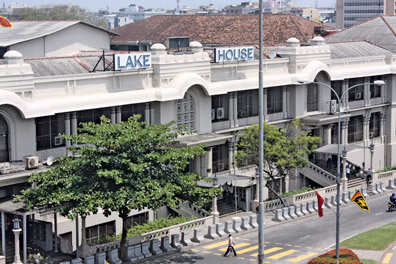 At this time the present site of Lake House newspapers was just a water – logged eye sore in the heart of Colombo providing a headache to the authorities. D R Wijewardena bought the site years later after his Daily News and Dinamina (bought over from H S Perera) began to show signs of leading the race in Lanka’s newspaper world. Back to the Buddhist Girls’ school at Tichborne Avenue. It had rather unfortunate beginnings despite all the rhetoric sung at its initial meeting. There were no ladies educated enough to head a Girls English School and the BTS had to advertise in foreign newspapers for a suitable head to which an Australian lady answered. She got the post but managed to fall into the school well and drown a few months later. Some opined that she was sleep walking, others that she was depressed, lonely in a strange country and had committed suicide. Anyway the place was said to be haunted after this and abandoned, the school itself having shifted to its present site at Punchi Borella the famous Marie Museaus Higgins taking over for a short time only to cross over to Rosemead Place to put up a mud edifice, disgusted by the surfeit of advice she got on how to run a school by Punchi Borella pundits. It can be surmised that when Maradana was the residential area of Colombo the Tichborne Avenue Bungalow was built to house some foreign or local family of the upper rungs, Surving its use as a girls school later it soon became the venue of the publication of the Ceylonese and then the Daily News. The editorial and managerial offices and paper store were in one section and the printing works were “in a badly ventilated barracks with a corrugated iron roof”. Such were the humble, if not ghostly beginnings of the first English Daily of the Lake House group.